Emory Smith is a former running back for Clemson University. 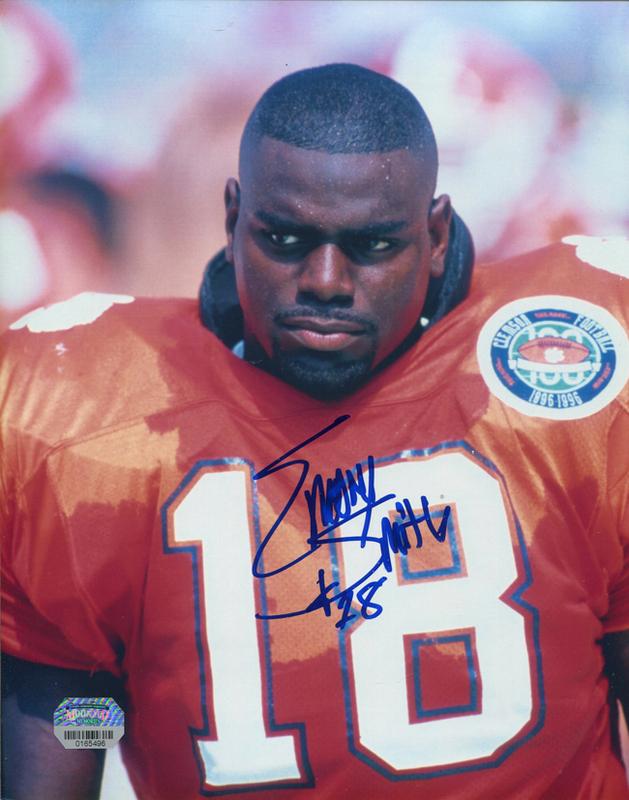 This Clemson Tigers 8x10 photo has been hand signed by 1993 Peach Bowl Offensive MVP Emory Smith. Each autograph is guaranteed authentic, and includes an individually numbered TRISTAR Authentic hologram.